Built in 1963 the Sciroccos, were sponsored by young American Hugh Powell, and entered as Scirocco-Powells. 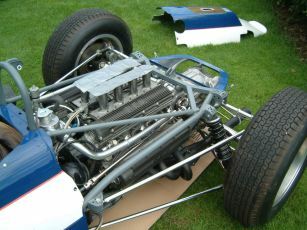 Both cars were semi-monocoque (the fuel tank formed the centre section of the chassis), painted in white & blue American colours, and used BRM 1½ litre V8s with 6 speed Colotti type 34 gearboxes. 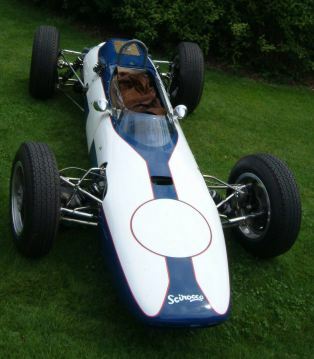 The 1st car was raced by team owner Tony Settember (he had taken over Emeryson cars from Paul Emery). 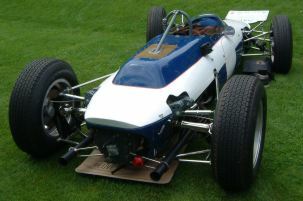 This, the 2nd car, was raced by Ian Burgess, significantly narrower than Settember’s car, it was the slimmest car on the grid. 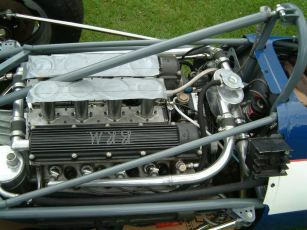 Burgess’s best result was 8th in the 1963 Oulton Park Gold Cup. 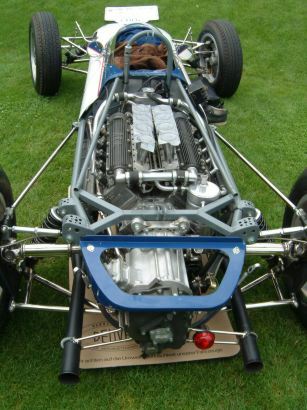 For 1964 Ron Carter bought the car and Tim Parnell ran it for Belgian Andre Pilette, with a Climax V8. Re- painted yellow, it was the last ever Belgian racing yellow F1 car. 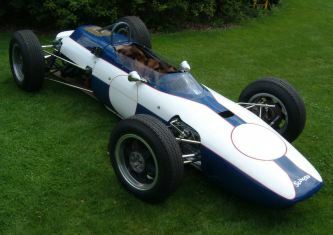 Pilette’s best result was 6th in the 1964 News of the World Trophy at Goodwood. This car was found in a mill in Bristol (in 1991 by Spencer Elton) where it had lain since the mid 1970’s and was extremely complete and original (except for the engine & gearbox); the chassis, suspension, steering, brakes, pedals etc were all there and in good condition. Since then it has been rebuilt by Hall & Fowler & Goodwood Revival will be its’ first event since the 1964 Italian GP (which was the day current owner, Peter Morley, was born!). Both cars have been restored by Hall & Hall.